The Order of Malta was and remains one of the few that was born in the middle ages and is still active in today’s society. It is a religious and sovereign order. It is difficult to find another order having these two functional aspects. As soon as the military power had diminished through time, the order itself lost its importance. The Order is still very active in today’s world. All coming from noble families from all over Europe, the Knights of Malta represent a prestigious heritage of military, chivalrous and noble nature throughout their 960 years of existence. We as Maltese feel proud of what they have given us throughout their 268 years in Malta. We are highlighting the names with which the order had been known throughout this time. It has evolved depending where they used to live according to the circumstances of the time. They are still known as the Knights of St John since the patron saint is St. John the Baptist and through their presence in the Holy Land since their beginning. The order was established in 1099. On the 15th February 1113, Pope Paschal II recognized the order with a papal bull of sovereignty named “Pie Postulatio Voluntatis" establishing its sovereign status. It became independent from any other religious or lay authority. 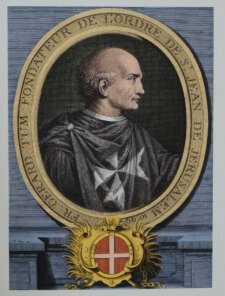 The first founding Grand Master of the Order of St. John was The Blessed Gerard. People used to call the Knights Hospitalliers, or the Knights Hospitallier, as they used to care for the sick pilgrims who used to go to Jerusalem to visit the Holy Sepulchre of Jesus Christ. They used to operate through a hospital located in the old city of Jerusalem in the Christian quarter. They provided care for poor and sick pilgrims who used to travel from European countries to visit the Holy Land. After conquering the island of Rhodes (today a Greek island) in 1310, they became the Knights of Rhodes. The Knights had to leave Rhodes in 1523 due to heavy fighting with the Turks. 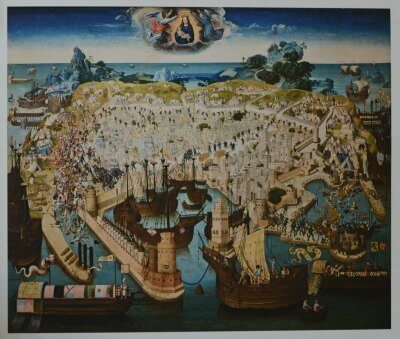 After several years without a home, in 1530, the Emperor Charles V surrendered the island of Malta to the Knights. They remained here from 1530 to 1798, during which time they were supreme rulers. Since that time the Order’s members are commonly referred to as the Knights of Malta. The official name of the Order of Malta is Sovereign Military Hospitaller Order of St. John of Jerusalem of Rhodes and of Malta.